Try these for the rustic/homemade look. 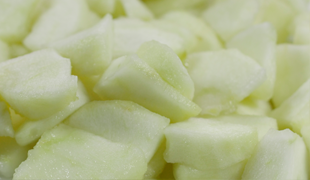 Prepared fresh apple cut into half segments for the home-made, rustic look. Can be supplied preserved if required.